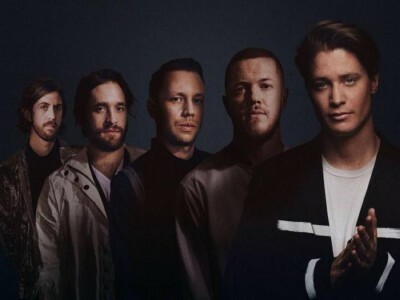 “Born to be Yours” is a track by Imagine Dragons and Kygo released in the wake of lead singer Dan Reynold’s divorce with Aja Volkman. The song marks only the sixth time the band has ever collaborated with another artist alongside the likes of “Sucker for Pain,” “Hands,” “Fear,”, the “Thunder / Young Dumb & Broke Medley” with Khalid, and the “Radioactive (Remix)” with Kendrick Lamar. The song was originally teased by Kygo on his instagram with this picture and the caption: "Like all of Imagine Dragons' artwork from their Evolve era, the artwork is made by graphic designer Beeple. This work, “HOME,” was released on 8 February 2018".